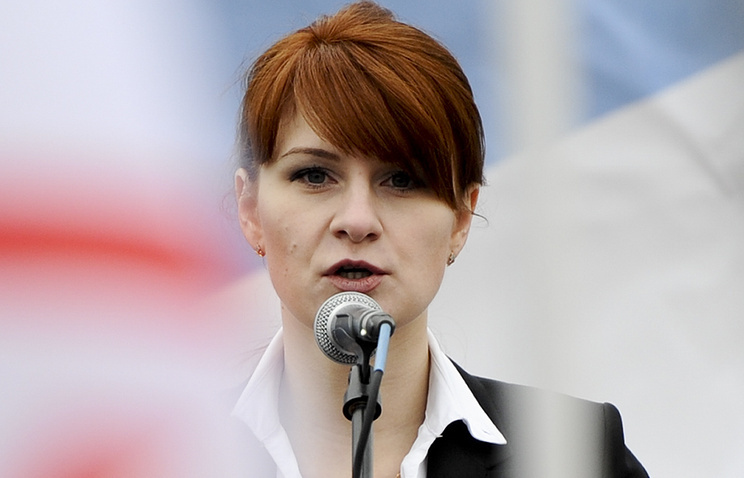 Russia’s High Commissioner for Human Rights, Tatiana Moskalkova, does not rule out she could personally appeal to US President Donald Trump over the case of Russian national Maria Butina who was detained in Washington in July, the ombudsperson’s adviser Vyacheslav Tolmachev told Izvestia. "We do not rule out the possibility of appealing to US President Donald Trump. Besides, the Butina issue was raised at a meeting with US Ambassador to Russia Jon Huntsman. Anyway, this problem will remain on the agenda during future contacts with the head of the US diplomatic mission. After all, this is one of the ways of reaching out to the authorities of the country, which we communicate with about the problems of Russian citizens," he said. The ombudsperson’s office recalled that Moskalkova had sent a letter to US Attorney General Jeff Sessions and some international agencies, including the Organization for Security and Cooperation in Europe. The Russian human rights commissioner could send a formal request to Trump after the November 6 US congressional elections, says Alexander Domrin, Professor of the Faculty of Law at the Higher School of Economics. According to the expert, prior to the elections, neither Trump nor his team are likely to make any statements, which could be seen as "pro-Russian." After the end of the election campaign, such issues can be tackled at the technical level, he added. "By arresting Russians and bringing dubious charges against them, the US is trying to show its power and might. I taught at various American universities and had hundreds of students. Naturally, I took part in shaping public opinion in the US. While Butina is facing 15 years (behind bars), I could face about 700, taken together. Therefore, when I am invited to the US, I am unlikely to travel there, as at the moment one can expect anything there," the expert stressed. US Secretary of Energy Rick Perry will pay a visit to Moscow later this week for talks with Russian Energy Minister Alexander Novak. He could also meet with other Russian officials and market players. According to Kommersant’s sources, the parties are expected to raise a range of issues, including the current state of the oil market in the wake of anti-Iranian sanctions and possible tougher sanctions against Russia, particularly, affecting the Nord Stream 2 pipeline project. Rick Perry’s trip could be the first visit by a high-ranking US official to Russia since April 2017, when then US Secretary of State Rex Tillerson travelled to Moscow. Current Secretary of State Mike Pompeo has not yet come to Russia, but Trump’s National Security Adviser John Bolton visited Moscow in late June. Perry’s visit seems to be unusual amidst deteriorating bilateral relations and could spark criticism in the US, Kommersant’s sources noted. However, it can be important for Russia and the US, one of world’s biggest oil producers, to be on the same page on the current balance in the global market. 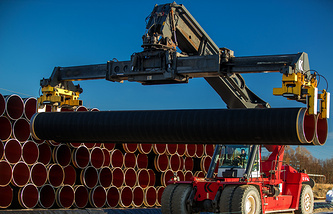 Besides, a bill on sanctions against the Nord Stream 2 project has been submitted to Congress. Trump has said more than once he is not particularly enthusiastic about the gas pipeline project, but so far the US administration has been opposed to sanctions against Russian energy giant Gazprom’s partners in Europe, as they will complicate relations with Germany. "On one hand, the good news is the very fact of contacts, showing that the channel has not been closed and frozen altogether," the paper quotes Ivan Timofeyev, Director of Programs at the Russian International Affairs Council, as saying. He noted that the parties could "professionally discuss the impact of the sanctions, which can have global effects for the market." However, according to Timofeyev, "it is more than likely that fresh sanctions against Russia are inevitable, including in the energy sector." The Aeroflot air carrier will order another hundred Sukhoi Superjet 100 aircraft from Sukhoi Civil Aircraft. The parties are expected to ink the deal on Monday, Vedomosti writes citing its own sources. The move is part of Aeroflot’s new strategy, which provides for the creation of several regional hubs. Russia’s flag carrier jet currently performs its flights via Moscow’s Sheremetyevo airport and has no direct flights between other cities. Aeroflot CEO Vitaly Savelyev said in late June that plans were in store to create some regional hubs as well. The short-haul SSJ-100 is the first civilian aircraft manufactured in Russia from scratch, with Aeroflot being its biggest operator. In 2005, the parties signed a contract for 50 aircraft. The first deliveries began in 2011. Aeroflot’s fleet now includes 49 SSJ-100 planes, the last is expected to be received later this year. 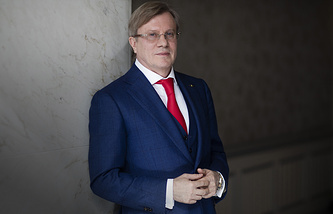 Passenger transportation through regional hubs is in Aeroflot’s commercial interests, according to Fyodor Borisov, a leading research fellow at the Institute for Transport Economics. Aeroflot and its subsidiaries account for more than 50% of Russia’s market, going over from commercial tasks to social functions, the expert explained. "It is evident that the multi-hub regional model is more attractive for the airline," he noted. According to Analytical Credit Rating Agency (ACRA) analyst Alexander Gushchin, it is difficult to forecast whether the number of the Sukhoi Superjet 100 planes would affect Aeroflot’s efficiency. It is also unclear how the company will be building a regional transportation segment, he added. The Russian-Armenian relations are currently at a very high level, Armenian Prime Minister Nikol Pashinyan who paid a working visit to Moscow on September 8 told Kommersant. While in Moscow, he held talks with Russian President Vladimir Putin. "We discussed the whole spectrum of our relations. I can tell you following these negotiations that the Armenian-Russian relations are currently at a very high level, I would say, at an unprecedentedly high level," he said. Pashinyan stressed it was a working meeting, expressing hope that the two countries’ leaders would soon exchange diplomatic visits. "I hope documents covering various spheres, including economic and military-technical agreements, will be signed during those visits. Profound political changes have taken place in Armenia, and all players - myself, my colleagues in Armenia and Russia included - needed some time to adapt to the new environment. Today we can state that this adaptation was successful. Our relations are moving into a new phase when we will have specific results," he elaborated. Commenting on the Nagorno-Karabakh conflict, the Armenian prime minister noted that the situation in the region was stable. "All of us must work to create conditions for a real peaceful settlement of the conflict. As prime minister, I am ready to take part in these negotiations on behalf of Armenia. However, I cannot talk on behalf of the people of Nagorno-Karabakh. They have their own government, their own president. Nagorno-Karabakh should have a legitimate representative who has a mandate to represent those people. And of course, we believe that the negotiation process in the future should proceed only with the participation of the OSCE Minsk Group co-chairs," Pashinyan added. Russia will continue its work to arrange a conference on the Afghan peaceful settlement despite recent efforts to derail it, Russian Special Presidential Envoy for Afghanistan Zamir Kabulov told Izvestia. "There is always a chance. We will continue working," he said. According to Kabulov, a meeting on a peaceful settlement should involve representatives of Russia, China, Iran, Pakistan, Afghanistan and some other countries. Meanwhile, Afghan Foreign Ministry Spokesman Sibghatullah Ahmadi told Izvestia that the meeting had just been put off, adding that there is no new date for it yet. Moscow was set to host an international conference on Afghanistan on September 4. Representatives of the Taliban movement (outlawed in Russia) had agreed to attend it for the first time. However, a few days before its beginning Kabul said the Afghan government's delegation would not take part in the event. The process of arranging the peace negotiations in Moscow has been marred by several factors, primarily Washington’s stance. A diplomatic source informed Izvestia that US representatives, in addition to refusing to come to Russia, tried to dissuade other participants from taking part in the Moscow consultations. "The Taliban calls the government in Kabul a puppet regime, and they have no intention of negotiating with it. It is pointless for the Taliban to hold talks with anyone, except for the Americans," Andrey Serenko, an expert at the Center of Contemporary Afghanistan Studies, told the paper. "Theoretically, they could sit down at the negotiating table with a delegation from Kabul, but only if there are Americans there too, and the Taliban is an equal party." The expert added, however, that the Taliban movement would continue an imitation of negotiations, because it is concerned about its international recognition and uses all international platforms to convince the global community that the Taliban will take power when the Americans leave Afghanistan.